The voice inside our own heads is very powerful and something that we can’t escape. What that voice says to us can really affect our mood, our motivation and our growth. If that voice is always saying things such as, “I bet you couldn’t do that,” or, “There’s no way you can finish that,” then we are only limiting our potential. Instead, if that voice is encouraging and positive, our confidence is boosted and we are able to accomplish so much more. Why is Positive Self-Talk Important? The way we talk to ourselves affects everything we are and do. Negative thoughts lead to dead ends and unhappiness while positive thoughts lead to progress and happiness. We have two basic choices: talk ourselves up or beat ourselves down. 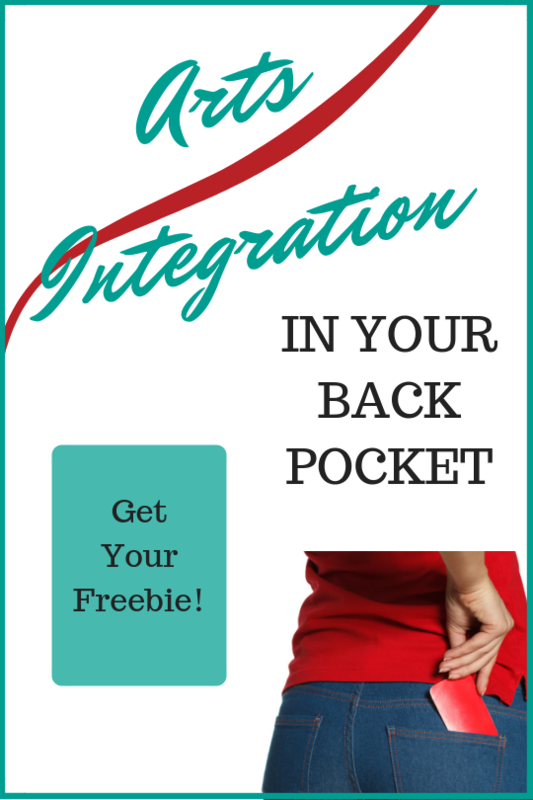 Change the Way You Talk to Yourself! 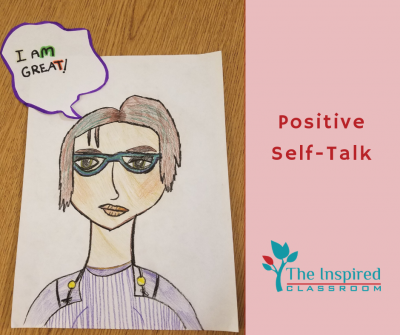 Talking to yourself in a positive way is something that many students need to practice. And with this practice comes more confidence and growth. Students will emulate what they see and know. If they are hearing negative talk at home, with their friends or in school, that’s what they will use on themselves. Part of being a positive role model to your students is to actually use and exemplify positive self-talk. That means talk out loud! Say things like, “This is going to be a great day!” or “This is hard, but I know I can do it.” Give concrete examples of how to talk positively throughout the day. I can do difficult things when I put my mind to it. For a very basic reminder for students throughout the day, simply put the most relevant sentences on a card and attach the card where needed. I do this for a couple of students that need that constant reminder. 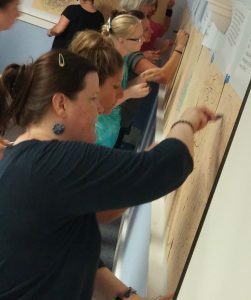 Then, I can walk around the room and point at the sentence I want a student to remember or even say out loud before or while working. 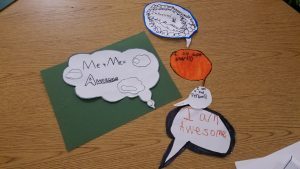 Each student can design their own flower that contains their own positive self-talk sentence. Have each student decide how they want to write the sentence on their flower: in the center, up the stem, or even one in each petal. 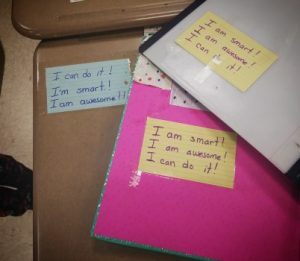 Emphasize the reason to write these on a growing flower: Positive self-talk allows us to GROW and fosters a growth mindset. For this activity, we create speech bubbles (or thought bubbles) that hold positive words we can say to ourselves. You can have students create cartoon heads of themselves saying these things or print out faces of your students to attach to the speech bubble. Have students put their positive self-talk sentence to a rhythm and chant it. For some students this can become a mantra that they can chant over and over again in their head. If the mood is right, they may even want to put it to a melody! For some students, adding a movement to their sentence will make it more real, so encourage that! Allow them some opportunity to play with space and energy as they say their sentence or as they rhythmically chant their sentence. Who knows? Some students may start to create their own dance or even combine moves to make a collaborative dance. Sometimes being overly dramatic really helps to send the message home. For this quick activity, students can become their most confident and positive selves as they declare their positive self-talk sentence. Have students work on their body language, facial expression and use of voice as they dramatically declare their statement to the world! As with any SEAL activity, adding the element of creation and art will help students to work with the idea and content of this self-management strategy. 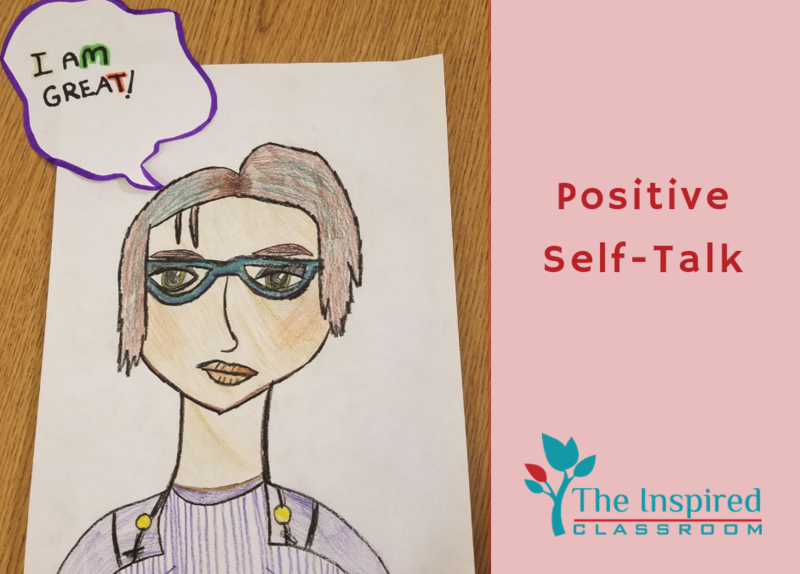 So, don’t miss the opportunity to help students creatively practice positive self-talk through SEAL!